Free Shipping Included! 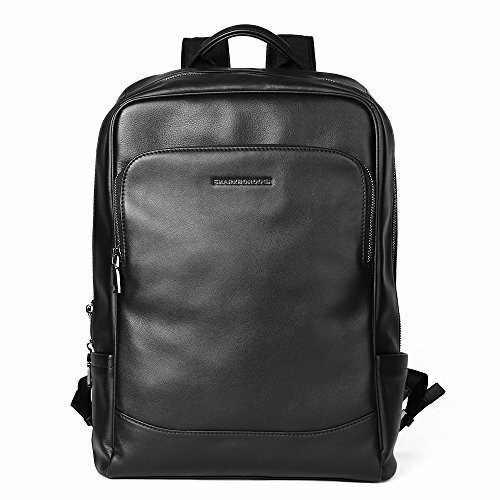 Sharkborough Men's Backpack Genuine Leather Business Travel Bag Extra Capacity by Sharkborough at Wander Soul. MPN: S61511-06930. Hurry! Limited time offer. Offer valid only while supplies last. zipper pocket can hold pens or Pencil case,and small things, and 1 back zipper pocket fit phone such as iphone6s, inside 1 zipper pocket fit small things like wallet or phone, 2 pen holders, 1 key holder and 1 removable keyring, 1 laptop compartment besides 1 main pocket fit lots of books or clothes. 11.8" wide 16.5" high, Do have compartment fit laptop up to 15", perfect fit for 13" Macbook. Stylish:Unique Design with Classical looking, which makes it perfect for any occasion with any outfit,no matter for school, trip or business, commuter even go to the gym, it just do its work. If you have any questions about this product by Sharkborough, contact us by completing and submitting the form below. If you are looking for a specif part number, please include it with your message.